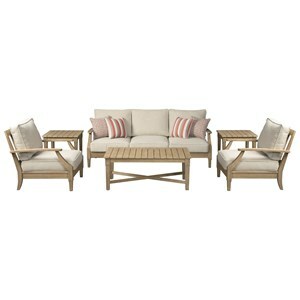 This five piece conversation set will far exceed your expectations for a backyard retreat. 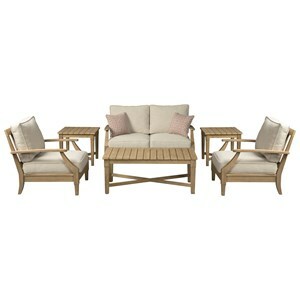 The four swivel chairs with plush cushions are made to last, and the round fire pit table ignites at the push of a button. 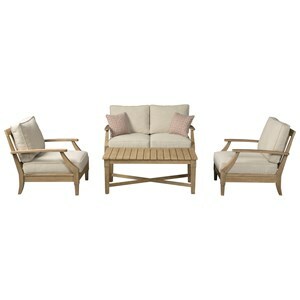 Indulge in luxurious comfort right outside your home with this gorgeous set, constructed to maintain its style through rain or shine. 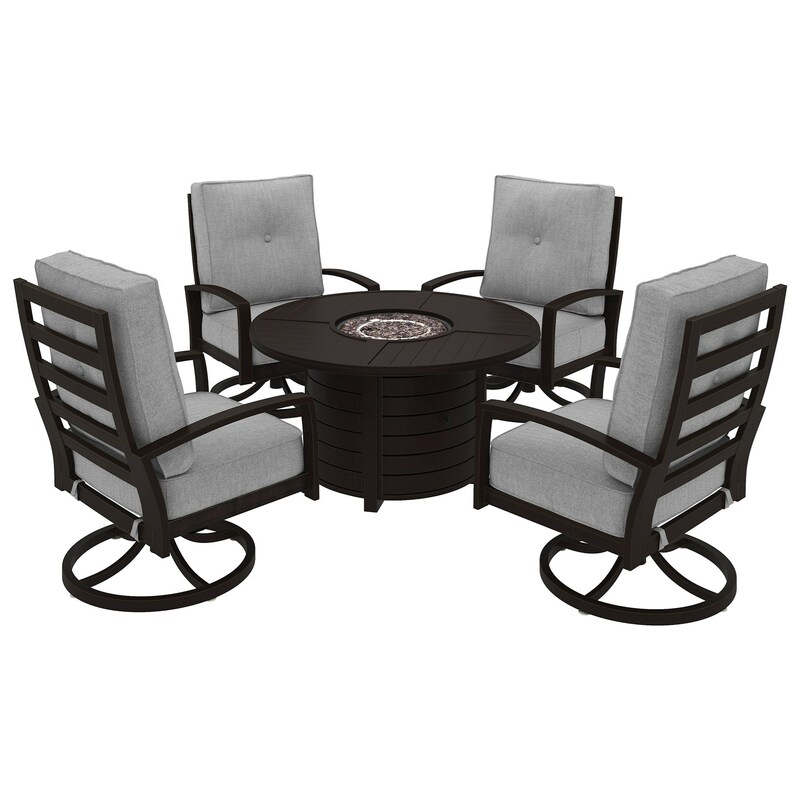 The Castle Island Outdoor Conversation Set with Fire Pit Table by Benchcraft at Virginia Furniture Market in the Rocky Mount, Roanoke, Lynchburg, Christiansburg, Blacksburg, Virginia area. Product availability may vary. Contact us for the most current availability on this product. The Castle Island collection is a great option if you are looking for Contemporary Outdoor Furniture in the Rocky Mount, Roanoke, Lynchburg, Christiansburg, Blacksburg, Virginia area. Browse other items in the Castle Island collection from Virginia Furniture Market in the Rocky Mount, Roanoke, Lynchburg, Christiansburg, Blacksburg, Virginia area.